Over the last 20 years, UPMC has ushered in a new era of health care excellence in Pittsburgh, western Pennsylvania, and locations around the world. 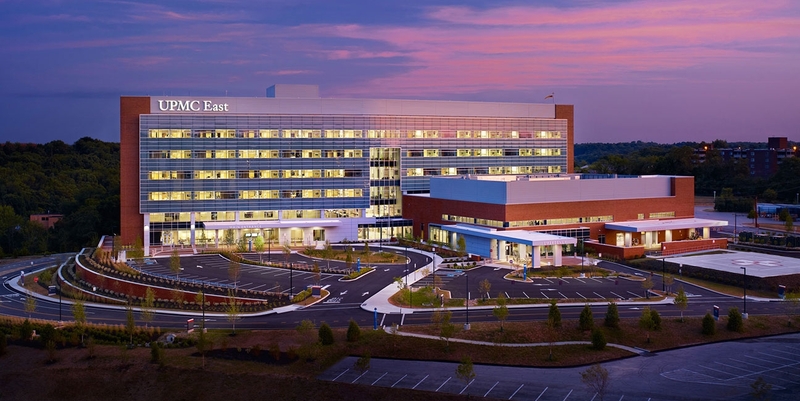 UPMC has evolved from a single psychiatric hospital into a $16 billion integrated global health enterprise closely affiliated with the University of Pittsburgh. 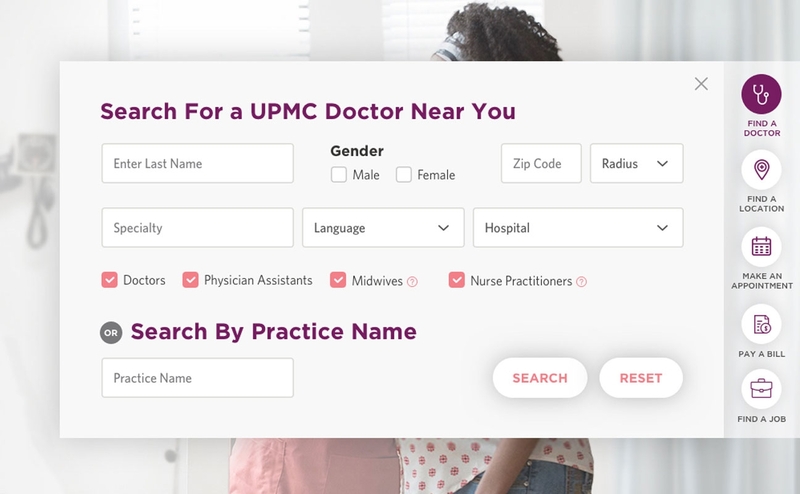 With 40 hospitals, some of them consistently ranked among the nation’s best hospitals by U.S. News & World Report, UPMC’s mission is to serve the community by providing outstanding patient care and to shape tomorrow’s health system through clinical and technological innovation, research, and education. 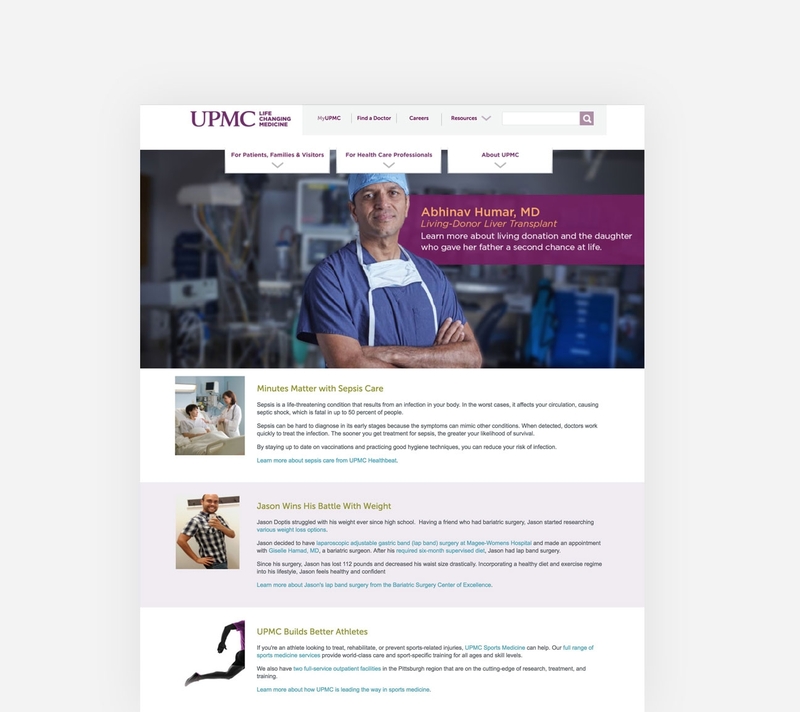 As Senior Visual Designer at Rightpoint, I had the opportunity to lead concept generation and design for a refreshed UPMC.com and guide the client through every step of the process from the first ideas to the launch of the site. 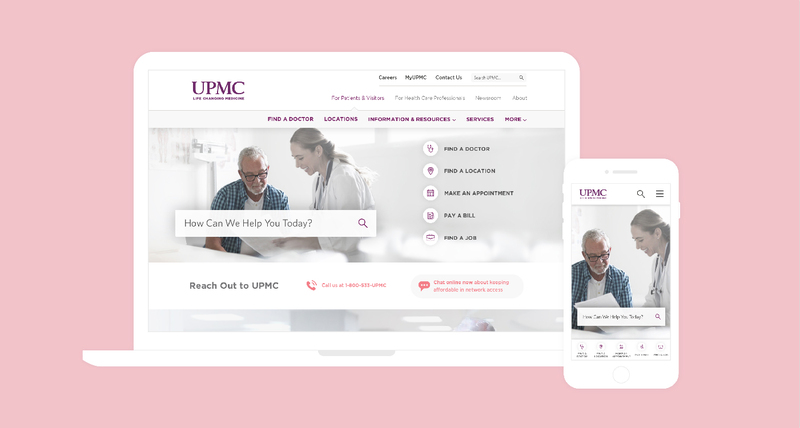 The new design brings UPMC’s patient-centered care approach to life through a clean, modern style supported by photography that focuses on real life moments of health care professionals and patients. 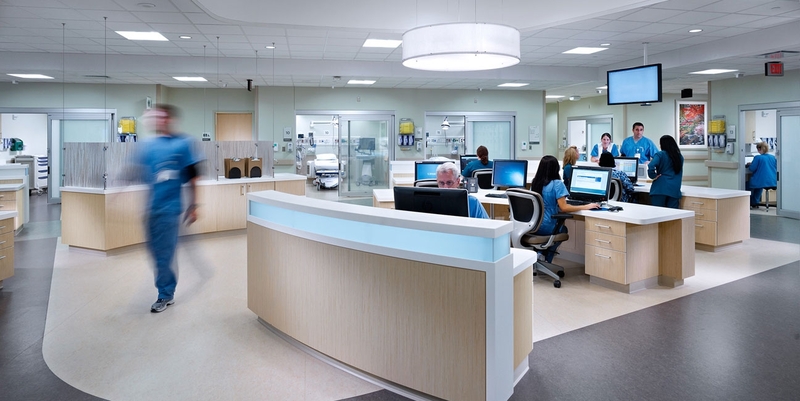 Existing widgets and tools were also redesigned to facilitate the access to key information, resources and tasks that patients need to get done as efficiently as possible within the large UPMC hospital network. Once the concept was approved by the client, additional key components and page templates were designed. 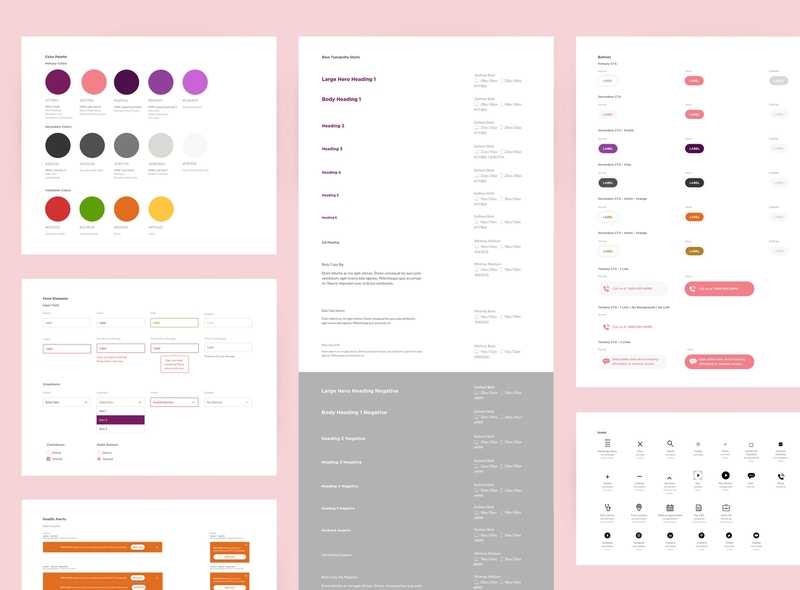 A web style guide documenting all basic styles and UI elements facilitated the styling of thousands of pages hosted in the main site and across multiple sites within the UPMC web ecosystem. A list of the previous componentry was carefully reviewed in advance to ensure that the updated design system was meeting all pre-established requirements while improving the overall user experience. 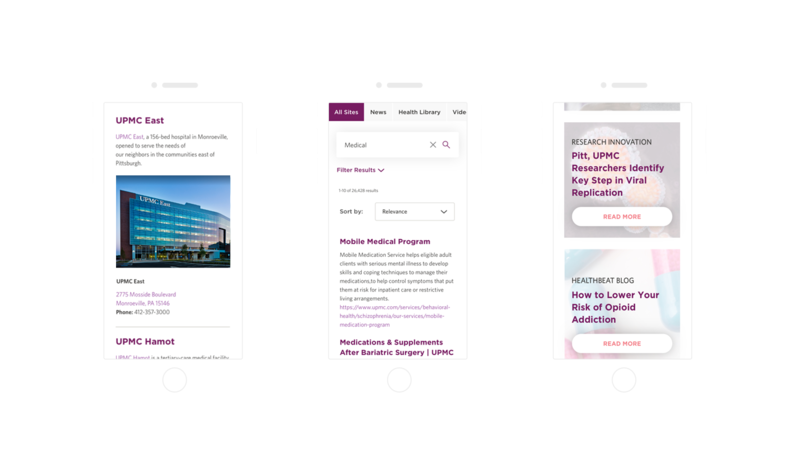 On top of expanding UPMC’s brand attributes to the new site in a fresh and more engaging way, one of the key aspects of the project was to turn the old adaptive website into a fully responsive digital experience to help bring UPMC to the forefront of innovative health care.